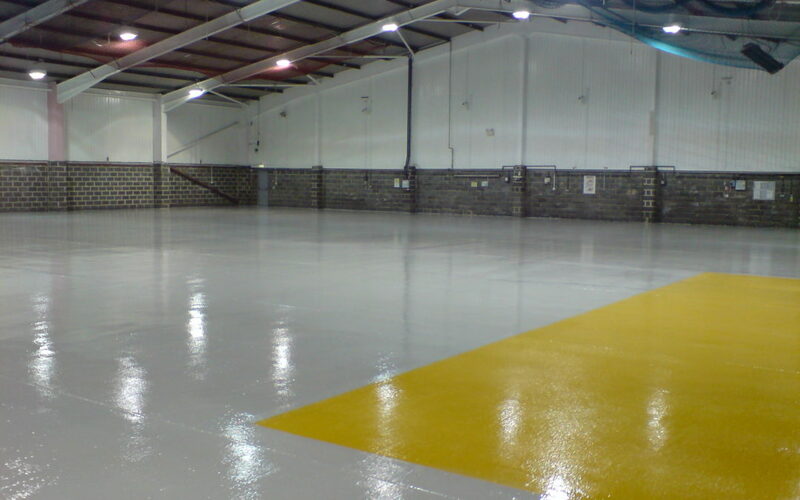 Here at REME Industrial Flooring, we provide the highest quality epoxy resin flooring in the area. But how do you know if it is time to upgrade your industrial flooring? It can be quite tough to fully understand when it is the right time to invest in a brand new floor, especially when you might not have the faintest idea about flooring or what to look out for. Nobody wants to spend money when the don’t need to, more so when it might not be needed, so here we will look further into understanding when the time is right for a brand new industrial floor! Unfortunately, there are no set times for how long an industrial floor will last in any given environment. You can bet that a working environment with heavy foot traffic and regular off-loading of materials will certainly deteriorate the floor quicker than an environment with just average foot traffic. The quality of your current industrial floor is a significant factor to consider; which is why REME Flooring only installs the highest quality flooring. If there are frequent signs of damage appearing in the floor, e.g. cracks. If the foot traffic, loads, or materials on the floor has become greater or more corrosive over time. If you discover that your flooring repair costs are through the roof. A new industrial floor could save you lots of time and money in the long term. If your new business premises doesn’t have a floor that suits the needs and requirements of your business. REME Flooring offers a broad range of flooring solutions in order for businesses to function efficiently. Our floors will last a very long time and provide an invaluable amount of protection and resistance to damage from a variety of potentially harmful elements. Contact us today to discuss your brand new industrial flooring solution.